Have Something To Say? 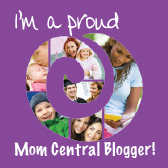 Be A Guest-Blogger At Newly Crunchy Mama Of 3! I have recently received a few inquiries regarding guest posts here on Newly Crunchy Mama Of 3. I am honored that other bloggers would like to contribute and be featured here on my little corner of the blogosphere! I would absolutely LOVE to hear what you have to say, and if it is of interest to my readers, I would love to publish your thoughts as well. I feel that opening Newly Crunchy Mama Of 3 up to quality guest posts will not only help my blog grow, but can also help you get exposure to YOUR blog or website. It's definitely a win-win situation! I DO have some simple guidelines regarding guest posts. They can be located here. If you're interested in being a part of the Newly Crunchy Mama Of 3 family, please read my guidelines and contact me with your ideas and/or submissions. Thanks again for your interest, and I look forward to working with you! I'm your newest follower from the Weekend blog hop. found you on the Alexa blog hop! i am your 303rd follower.